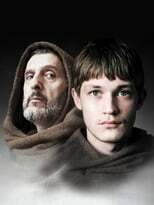 A TV Adaptation of the famous mystery novel In The Name of the Rose by Umberto Eco. A detective is summoned to an abbey where a series of murders is taking place. Where can you stream The Name of The Rose? On 2019-03-04 Drama TV Series The Name of The Rose first aired on Rai 1. Written and created by Andrea Porporati & Nigel Williams, and produced by 11 Marzo Film & Palomar, The Name of The Rose will return and was last broadcasted on 2019-03-25.